Discover the archaeological remains in the Citadel’s courtyard with original music sounds... Virtual reality images tell the stories of King David, the Roman conquest, Muhammad, the Crusaders, and Suleiman the Magnificent, among other people and periods. 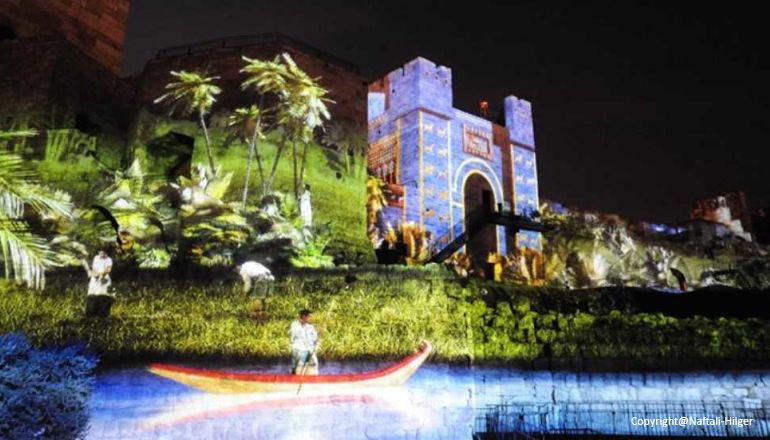 The Night Spectacular Performance, a 45-minute show, uses trompe l’oeil technology - the stones of the walls and structures fade into the scenes and the screened images envelop the viewers, whisking them off to a one-of-a-kind multi-sensory experience. The Night Spectacular is the first of its kind and is for everyone - tourists, families, speakers of all languages and for all who love Jerusalem. With minimal wording -other than a few biblical verses- this show is suitable for speakers of all languages.